1.GWS: It’s the year of no excuses for the Giants as they embark on a quest to win their franchise’s first Premiership flag. With a talented and young spine consisting of Davis, Haynes, Ward, Patton and Cameron there is only upside in their 2017 output. 2.Sydney: After being beaten favourites in the 2016 Grand Final the Swans have only one thing on their mind and that’s Premiership glory. They have stuck solid with their list and expect big improvements from young gun Isaac Heeney and Rising Star winner Callum Mills. 3.Western Bulldogs: The fairytale team of 2016 will be out to prove their Premiership win was no fluke. Under the astute tutelage of coach Luke Beveridge, the young Dogs face the task of being the hunted instead of the hunter in 2017. They are boosted by the return of Stewart Crameri and have also added Travis Cloke to their forward line. 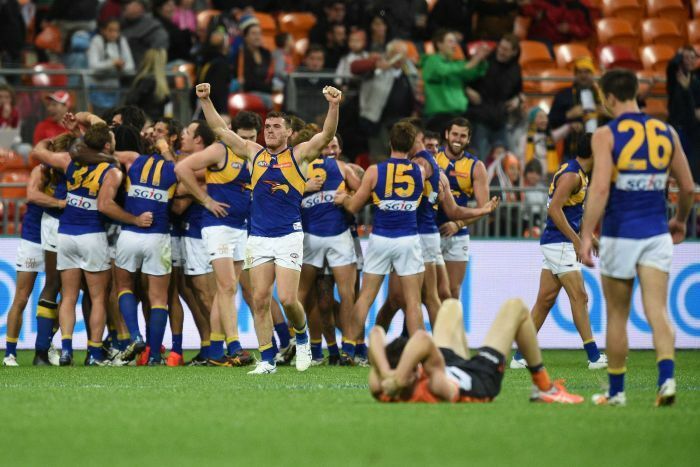 4.West Coast: After a disappointing finals series the Eagles have gone all out to make a Premiership push. 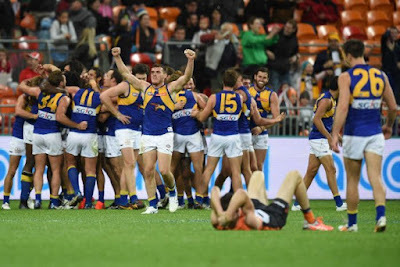 The signing of classy veteran Sam Mitchell is a huge win for the Club and should clear any possible tags on quality midfielders Shuey and Gaff. The Eagles will start favourites in all home games this Season and the Wolf can see them clinch a top 4 finish. 5.Geelong: An over reliance on Dangerfield is their biggest concern heading into 2017. We are yet to see the likes of Duncan, Menegola or Guthrie step up and give Danger and Selwood a helping hand. Their other issue is finding a second tall forward. Look for Harry Taylor and Lachie Henderson to spend time forward though this will leave a gaping hole in defence. 6.Adelaide: Under the game plan of Don Pyke, the Crows were the highest scoring team of 2016. They have secured the services of all their forward line players however they are still thin in the midfield. This lack of depth in the middle was underlined when they unsuccessfully went after Bryce Gibbs in the off season. Expect the Crows to be dominant at home and put away the weaker sides by big margins with their firepower. 7.Melbourne: Simon Goodwin takes the reigns after learning the ropes from Paul Roos in the last few seasons. Roos has left the club in terrific shape and the Wolf believes they are primed to make a return to the finals in 2017. Look for breakout seasons from young guns Petracca and Hogan and the leadership of former Hawthorn star Jordan Lewis will be invaluable through the midfield. 8.Hawthorn: The Hawks will have an unfamiliar look in 2017 after the departures of champions Jordan Lewis and Sam Mitchell. As usual, Clarko will have a new game plan up his sleeve and the Hawks will play a different brand of football in 2017. They have recruited Jaeger O’Meara and Tom Mitchell, while they also get Jarryd Roughead back from a Cancer scare. The Wolf thinks the Hawks will be good enough to make the finals though can not see them beating the top chances come September. 9.St Kilda: The Saints defence will be bolstered in 2017 with Essendon star Jake Carlisle locking down at centre half back. The emergence of Tim Membrey at Full Forward will free up Nick Riewoldt to play more of a wing role, similar to that played by Matthew Richardson in his final years at Richmond. Expectations are high at St Kilda however the Wolf thinks they are still one year away from playing finals. 10.Richmond: The Tigers will be looking for consistency in 2017 after an up and down last few seasons. The Wolf can see some improvement from 2016 after adding recruits Prestia, Caddy and Nankervis to their midfield. This should allow Dustin Martin to spend more time up forward and he should be aiming to kick 35 plus goals this season. The Wolf has the Tigers finishing 10th, though don’t be surprised if they crack the 8. 11.Gold Coast: Like Richmond, the Wolf is expecting a change of fortunes for the luckless Suns in 2017. They have an impressive spine consisting of Thompson, May, Ablett, Wright and Lynch, which rival that of GWS. Michael Barlow and Jarryd Lyons add a new dimension to the Suns midfield while David Swallow will be treated like a new recruit after a long injury layoff. They need to turn Metricon into a fortress if they are to have an improved campaign. 12.Port Adelaide: President David Koch has said another year out of the finals will see heads roll at Port Adelaide and the Wolf thinks they should start packing their bags. Port has a one dimensional forward line lead by underperforming recruit Charlie Dixon and their backline lacks a standout key defender. Port’s only hope of playing finals this year is to win 75% of their home games and Robbie Gray to carry them over the line in a few matches. 13.Fremantle: The return of Nat Fyfe will be a big bonus for the struggling Dockers. Fyfe will be the teams best midfielder and forward in 2017 if he can get a 60/40 time split. Michael Johnson and Cam McCarthy will be handy after time out in 2016 though not enough for the Dockers to reach the finals. Ross Lyon and his men are in for another tough run in 2017. 14.Collingwood: The Collingwood recruiting system will be brought to its knees in 2017 as the Wolf can see another un-inspiring season ahead. The Pies have gone all out on experienced recruits such as Mayne, Wells and Greenwood and the reward will not be worth the risk. Whilst their midfield will win plenty of the ball, they all lack defensive pressure. Down back they have lost Nathan Brown and Jack Frost so the injury prone backline of Reid and Howe will be under pressure to stay fit. The Wolf thinks the Pies will concede too many points to compete in 2017. 15.Essendon: Those expecting the Bombers to return to the Finals after the supplement saga of 2016 are in dreamland. While it would be a great story if the Bombers were to bounce back and play finals, realistically the returning players are 12 months out of touch from the modern game. There is a query over their forward line and the fact Josh Green has a contract shows how few options they have up there. Any finish above 13th will be a win for the Bombers. 16.North Melbourne: After losing Harvey, Wells, Dal Santo, Firrito and Petrie at the end of 2016, it will be a new look Kangaroos outfit in 2017. Adjusting to life without these players will be difficult early on with mid tier players being asked to pick up the slack. The Wolf can see the Kangaroos being competitive in 2017 though lacking the class to get over the line in several close matches. 17.Brisbane: New coach Chris Fagan will be demanding a lift in attitude and output from his Lions outfit that have been cellar dwellers for too long. New skipper Dayne Beams will be looking to bounce back to his best form and assist the likes of Rockliff and Zorko through the middle. They have a few young key position players to keep an eye on such as Harris Andrews and Eric Hipwood who look set for breakout years. The Wolf can see them winning 4 games at home, which should see them avoid the spoon. 18.Carlton: Carlton head into this season with the worst forward line in the competition. The Blues averaged a dismal 71 points a game and have not made a single change to their forward structure. Skipper Marc Murphy looks to be fit again after injury ruined his 2016 season though his return will not be enough to get the Blues out of the bottom two. This year shapes as a character defining one for the Blues and the Wolf can see them taking home the Spoon in 2017.